Looking for great happy hour Dubai offers across town? We’ve shortlisted seven top deals at a few cool pubs in Dubai… check it out! Offer: R’Adda is a popular fusion pub with an all-day happy hour that runs from 12pm-9pm, featuring 25% off on drinks, live music sessions and Mumbai foodie specialties. For details, call 04 369 3888. Offer: The Boston Bar is running an awesome promotion until May 30, with 25 selected beverages priced at AED 25 — all day long. If your group spends AED 500 from the food menu, you’ll also get AED 200 back (to be used on the next visit.) For details, call 04 345 5888. Offer: Head down to The Stables bar & resto from 12pm-8pm for happy hour, featuring discounted drinks starting from AED 27, along with karaoke nights, live matches and entertainment. For details, call +971 54 417 7028. Offer: Kick off your weekend at Stock Exchange which offers happy hour Dubai deals on Thursdays and Fridays, between 7pm-9pm, with buy-1-get-1 free on select drinks. For details, call +971 52 675 9985. 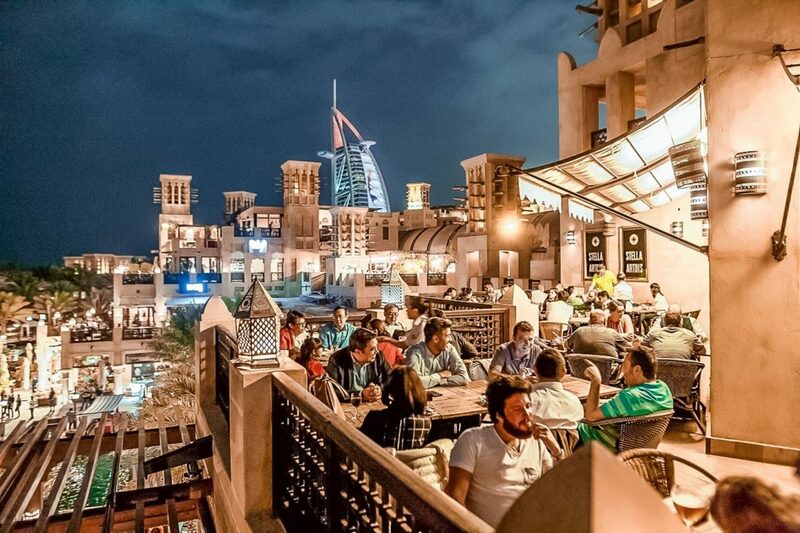 Offer: Come down for discounts in Dubai at Belgian Beer Cafe in Souk Madinat, which hosts a double happy hour on Thursdays, from 4pm-7pm and 10pm-midnight, as well as Fridays from 4pm-7pm. You’ll find mixed drinks from AED 25, pints from AED 31 and wine from AED 27. For details, call 04 447 0227. Offer: As one of the old-school pubs in Dubai, Time Cafe is always a great spot for low-priced bevvies. Come down between 12pm-9pm for 30% off on drinks, or grab a bucket of Kingfisher for AED 115. During the Indian Premier League, you’ll also find whiskey drinks on special for AED 20. For details, call 04 334 4088. Offer: It’s been a long time coming, but The Irish Village now serves a weekday happy hour special from 4pm to 7pm, with regular drinks and draught beers priced at AED 35.